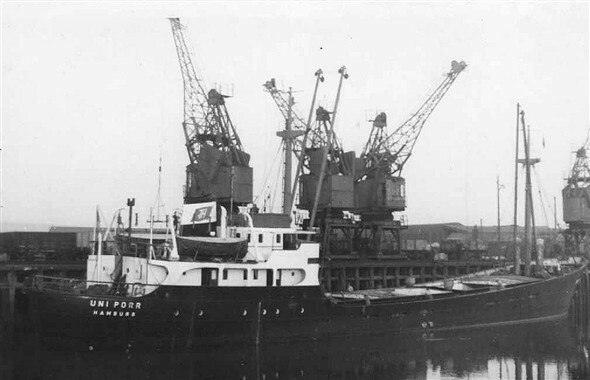 My old and battered Kodak Brownie camera was kept busy in the late 1950's capturing pictures of the various ships that called at Newhaven and especially at the North Quay. 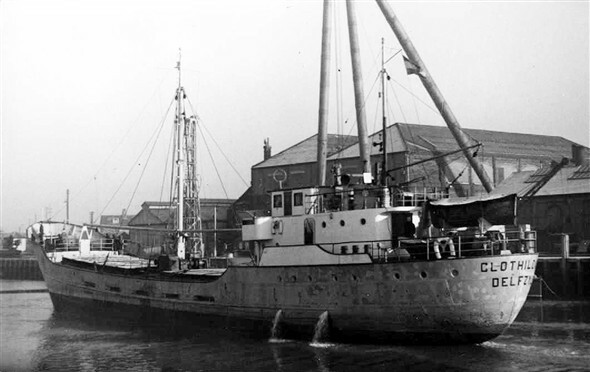 Amongst these my favourites were the small ships belonging to Dutch and German owners which were often one man operations, the owner both owning and skippering the ship. It was enjoyable watching them as they sailed up-river, when their arrivals and departures were always accompanied by long queues of traffic as the old swing bridge was opened to allow them to pass adding yet more interest to the scene. What cargoes they carried into and out of the port was another fascinating conjecture as the cranes worked busily away loading and unloading them. As a memento of that long past era here are just a few of the ships that called at the time. This page was added by Derek Longly on 09/06/2012. Do you have any pictures of my favourite the 'Con Zelo' ? Thanks Andy and Rob for your comments. I am gradually working my way through my many hundreds (thousands?) of colour slides and will scan any that I find that are of Newhaven and its ships. Somewhere amongst them I feel sure I will discover a picture of the Con Zelo, maybe more than one if I'm lucky. It's a fairly major task as not all my old slides are arranged in order as they should be so it can be a lengthy search to find the ones I want. Patience will hopefully be rewarded! 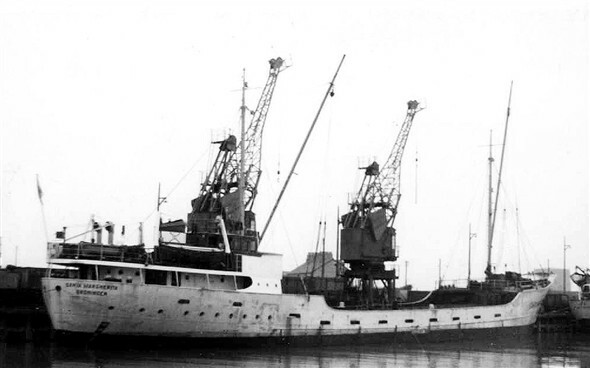 When I hung around the harbour between 1966 to 1974, I seem to remember an submarine being towed into the port and then laid up on the east quay north of the ferry terminals, upon those wooden gridirons I think they were called. I think I am right in believing that this submarine which was a former Royal Navy boat was taken apart at Newhaven. Does anybody else remember this, or am I dreaming it? 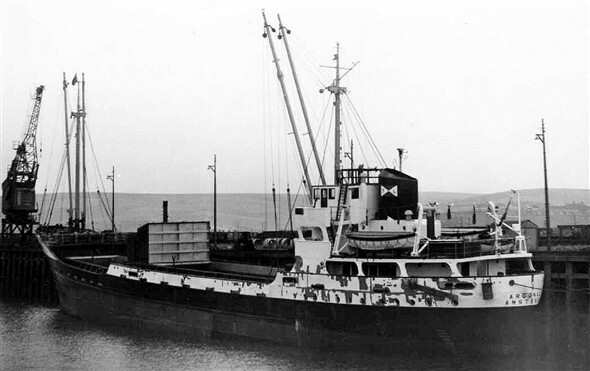 Does anyone remember the little coaster 'Celtic' with Captain Shearing and one boy for crew. 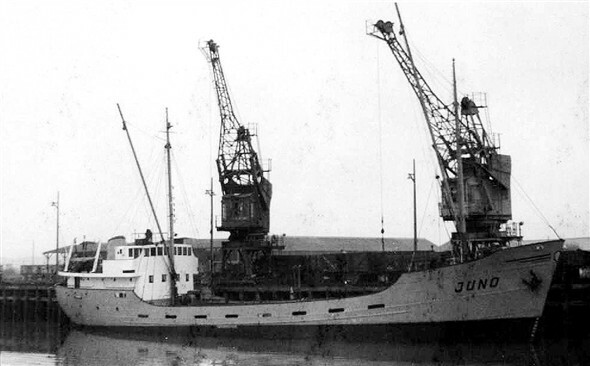 She took about 230 tons of cement from Asham Cement Works to the Isle of Wight once a week and continued well into the 1960's. I certainly remember the Celtic. She had a blue hull and brown upper works and silently, with great dignity, used to glide up and down river. She is represented, as a model, in the museum. Me too. Watched her sail up and down the river, and through the old swing bridge on many occasions. I'll see if I can get a photo or two to put onto the site. Sussex Express has this one from Newhaven Museum, taken from the top of the Sheerlegs at the Marine Shops. And there's an Our Newhaven page too! The submarine mentioned by Colin was HMS Sea Devil - not the most original name - her name plaque is/was in the wardroom at the Newhaven sea cadets, TS Defiance. 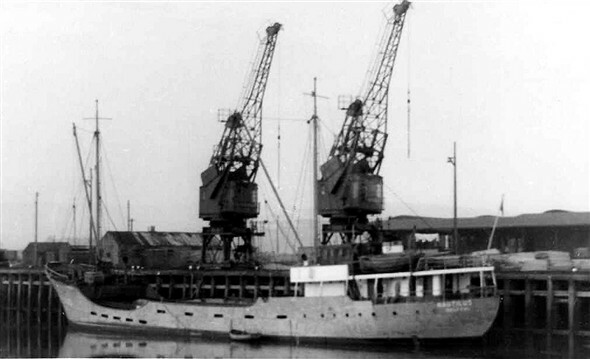 Her service record shows her as being broken up at Newhaven by Metrec.